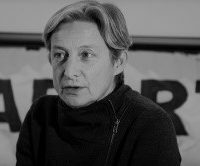 Judith Butler is an American feminist and philosophical theorist. Since 1993, she has taught at the University of California, Berkeley, where she is now Maxine Elliot Professor in the Department of Comparative Literature and the Program of Critical Theory. She is also the Hannah Arendt Chair at the European Graduate School. After the Paris attacks on 13th November 2015, instead of selectively grieving within a national frame and restricting liberties, what we need is transversal grief, time to think and a serious monitoring of the discourse on liberty. That will prevent dangerous classifications and dichotomies as well as impulsive actions and belligerent acts.